There's still time to get your powered garden equipment serviced and ready in time for Spring. Click on our Winter service link below to find out more and book online! We specialise in servicing and repair of all makes of garden machinery, chainsaws, strimmers, brushcutters and mowers. We offer mower servicing from just 77 GBP, strimmer servicing from 70 GBP, Ride on mowers serviced from just 245 GBP, Cylinder mowers serviced from 130 GBP, Chainsaw and Hedgetrimmers service for 80 GBP, Blower/Vacs service for 55 GBP, ATVs and cultivators POA. 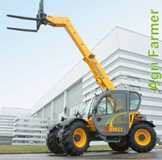 If you are looking for a new Telehandler Machine why not consider a Diesi Telehandler? 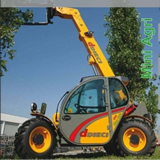 Diesi manufacture a wide range of Telhandlers from the Mini Agri throught to the 21 Tonne Hercules. The Agri range now includes a range of pivot steer machines. With a huge range of capacities and configurations and innovative design features and integrated CanBus control systems, coupled with the latest Tier 4 low emmission engines Diesi bring you all the advantages of modern technology and design.